Startup camp — is this the new way of building better startup networks? 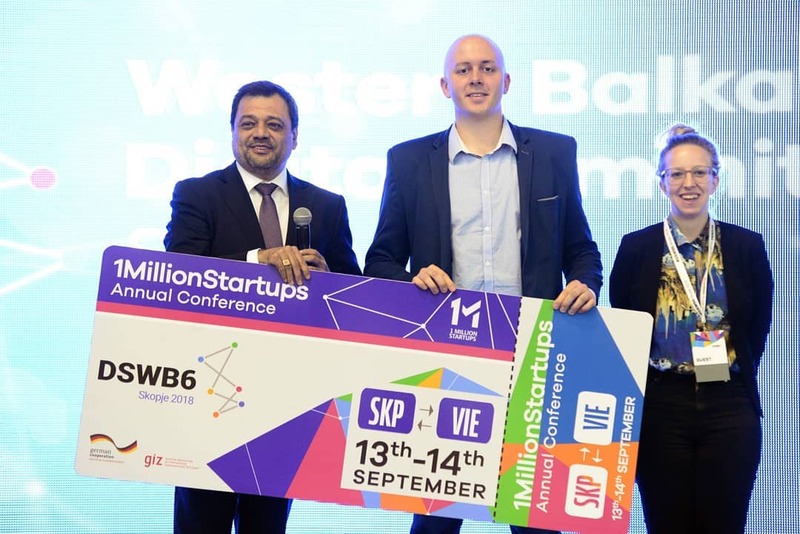 Skopje, the capital of the Republic of Macedonia, a city located in the heart of the Balkan Peninsula was the first host city of the Digital Western Balkans 6 Summit that took place 18th-19th of April. The summit has brought in one place the high-level representatives of the European Commission, the politicians of the WB6 countries and the companies to discuss on the pillars of digital skills, trust and security, digital environment networks and services, connectivity and access and digital economy and society. And while the governments are running the policies it’s the startup community that’s working. Creative, agile and dedicated, this community is driving the change and presenting to us the future. To tap in the potential of the startup community, the German Cooperation was tasked to organize a German Cooperation Startup Camp that was held in parallel to the main event and in an informal atmosphere, ideas and knowledge were exchanged between startups and companies attending the Digital Summit. Bringing 15 entrepreneurs from all six countries of the Western Balkans, the StartUp Camp was a great opportunity for the entrepreneurs from the region to take the stage and shine. 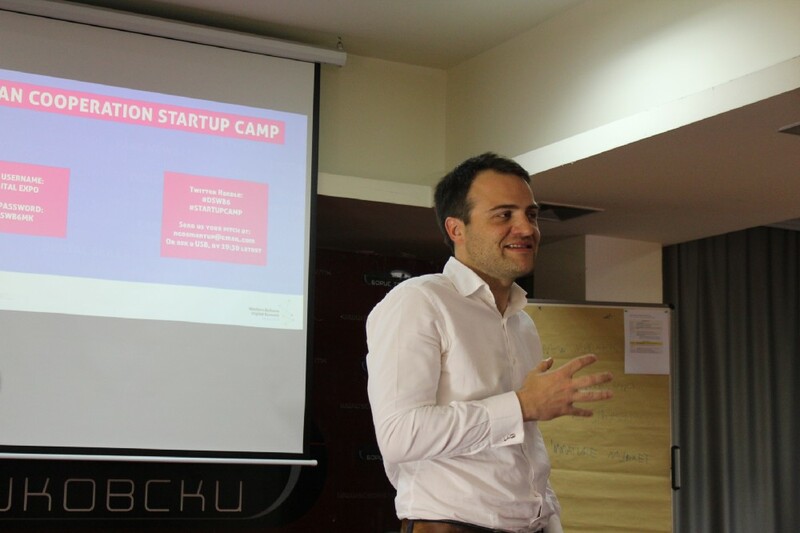 The German Cooperation StartUp Camp covered several activities, from Inspirational talks and Investor Workshop to Open Innovation Lab and a Pitching Competition. Starting with the inspirational talks and rolling through the Investors workshop in the first day, the StartUp Camp opened up the stage for the entrepreneurs to show their agility, creativity and problem-solving skills during Open Innovation Lab and the Pitching competition on the second day. Four inspirational talks brought four experts in the camp to share their story to inspire the participating entrepreneurs — Max Gurvits (a US/European entrepreneur and investor), Oliver Pugh (entrepreneur), Vesna Ivanoska (CEO of Seavus Educational Center) and Igor Madzov (South Central ventures). The investor workshop titled “Winning founders: how to communicate, pitch, and sell like a world-class startup CEO” run by Max Gurvits and Alexandra Marchenko was a great way to prepare the participants for the pitching competition on the second day. Being held in in the main EXPO hall, the main event “The Pitching Competition” was an amazing opportunity for the entrepreneurs to present themselves and their startups to the jury and the guest at the EXPO coming from the region and Western Europe, including the companies showcasing at the digital summit. Having 3 min time for their pitch, 10 startups were competing to showcase the innovation of their product; realization/market orientation; scalability and soft skills based on which the winner was to be selected. From educational platforms and artificial intelligence to parental monitoring apps and zombie soups, the choice was tough! Branko Vasiljevic, Meerkiddo! Branko and his awesome parental control app win a ticket for the 1milion Startup Conference that is going to be held in September 2018 in Vienna. But is not always about the winning or the prize as one of the experts said: “There are awesome, Incredible opportunities for the entrepreneurs here! Just being able to talk to the decision makers is amazing! I thought it’s great to come to EXPOs like this, I get so much of job done!”, Oliver Pugh, expert, and entrepreneur. What this competition showed us is that It is more about the chances to see and to be seen. It’s about the network you build and the people you meet. It’s about the space where all these creative minds come together to learn from each other! That is the value that these events bring to entrepreneurs, and that is why we need to thank the organization like the German Cooperation for supporting events that help startup communities grow and develop even more. What does SmartUp — Social Innovation Lab Skopje NGO do? We encourage and develop social innovations and businesses as a response to crucial and urgent societal challenges. We work on the development of an eco-system of social innovations containing different public, private, academia, and non-governmental actors. We help create a socially, economically and ecologically sustainable society. 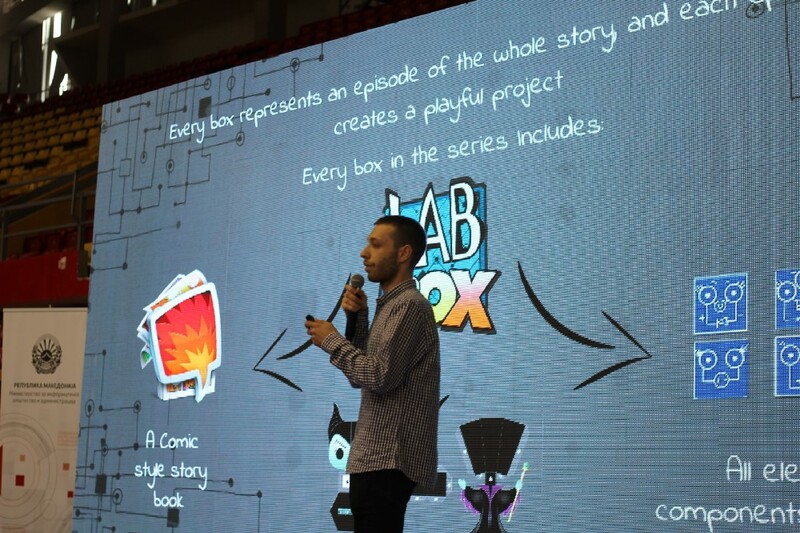 Thirteen companies from all around the Balkans were competing for the first place.